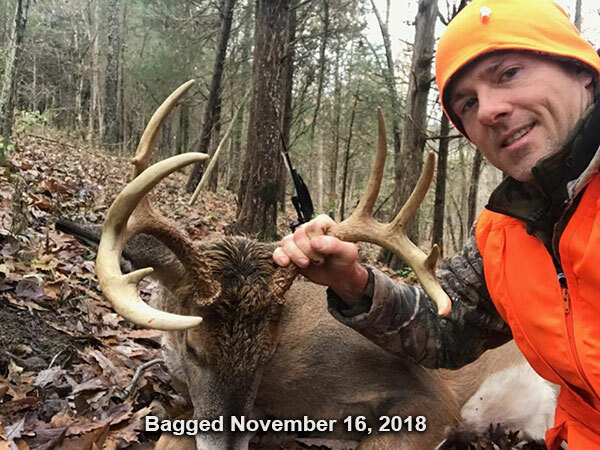 Sunrise Outfitters ⊙ Deer Hunting | Guided, semi-guided and self-guided Kentucky hunting for whitetail deer and turkey on 1,000 acres of prime wildlife habitat. Q: If I book a hunt at Sunrise Outfitters, what do I need to bring with me for my stay at the cabin? A: All you will need to bring is your food and meals for the days/nights that you will be staying at the cabin on the property. Everything else is included; bedding, appliances, utilities, etc. Q: Is there a scoring system on the bucks? 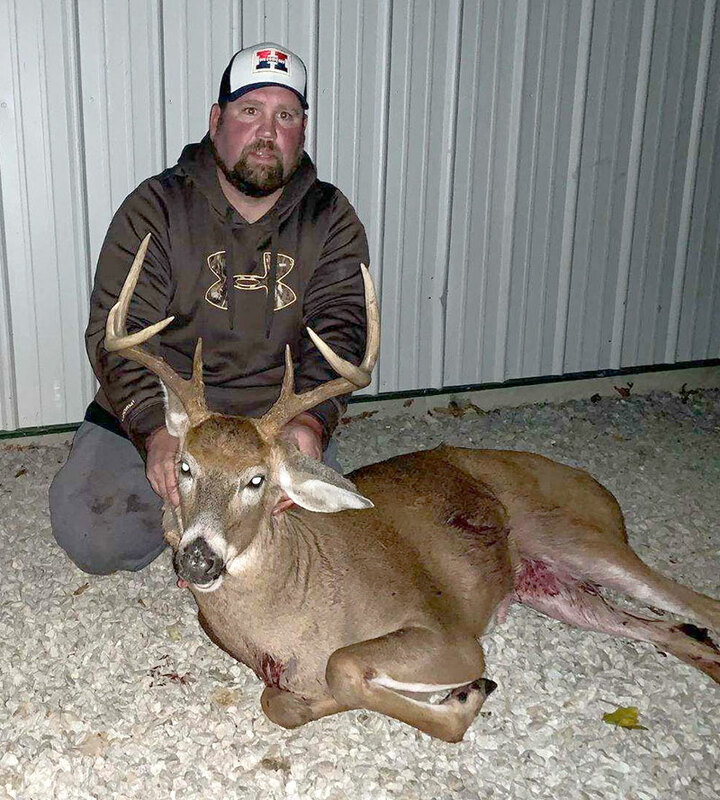 A: Sunrise Outfitters does not have a scoring system on bucks. We don’t believe in this because there is a chance that some hunters cannot score from yards away. Our whole basis is for a group of hunters to come onto the property, enjoy themselves, and have a chance of shooting a nice deer. Q: What percent of deer are taking on the property? A: Unfortunately, there really isn’t an exact answer for this question. It is almost impossible to talk about percentages because there are hunters that hunt for only big deer and some hunters that hunt for 8 to 10 pointer bucks. All I can do as the owner of the property is to keep our website updated with photos from our deer cameras and on the property. My job as the owner of the property is to create land management that is conducive to bringing deer and keeping deer on the land. 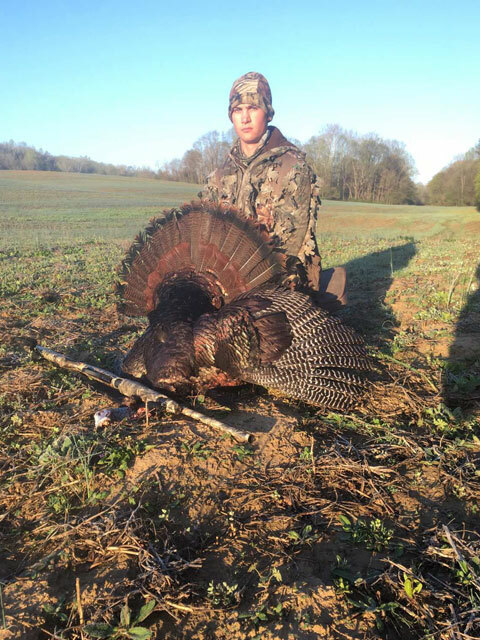 Sunrise Outfitters offers some of the best hunting ground in Kentucky! Sunrise Outfitters caters to deer and turkey hunters on 1000 acres of prime wildlife habitat, 350 acres dedicated to Deer Hunting. This property is covered by rolling hills and ravines with 40 wooded acres, two ponds and two creeks. In addition, it is surrounded by 800 acres! Sunrise Outfitters recently added 600 MORE ACRES of land for turkey hunting! 300 of those acres are located at the river bottom. This totals 1,000 acres for Turkey Hunts! This is definitely a huge improvement and will make for a greater hunting experience for the Deer and Turkey season! We have 7 trail cams set up around our property, to keep updated reviews of deer and turkey throughout the year. Check out our gallery of pictures over the past 4 years! We have also added 6 Maverick Tower Blinds for the hunting season along with 15 1-man Hunting Stands and two 2-man Hunting Stands! Click to View the Latest Web Cam Pics at Sunrise Outfitters! Some Successful 2018 Turkey Hunts!! NEW ON-SITE CABINS ARE IN PROGRESS! 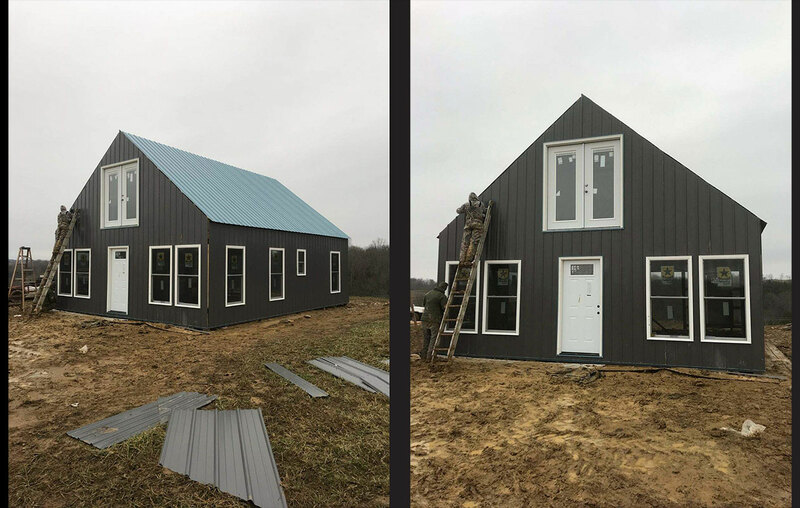 The newest addition to Sunrise Outfitters in 2019 will be the 2 new On-Site Cabins which will overlook the beautiful rolling hills on the property. Check back for updates! Sunrise Outfitters specialize in corporate outings and retreats. We will cater in meals or prepare them onsite to meet the needs of each group. Looking for quality, affordable hunting on unpressured and pristine private property this season? 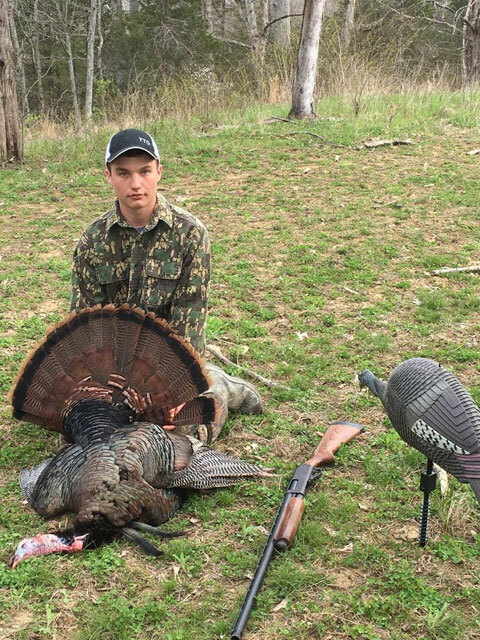 Sunrise Outfitters offers a variety of surprisingly affordable packages for deer, turkey or upland game, including overnight accommodations at the onsite lodge. 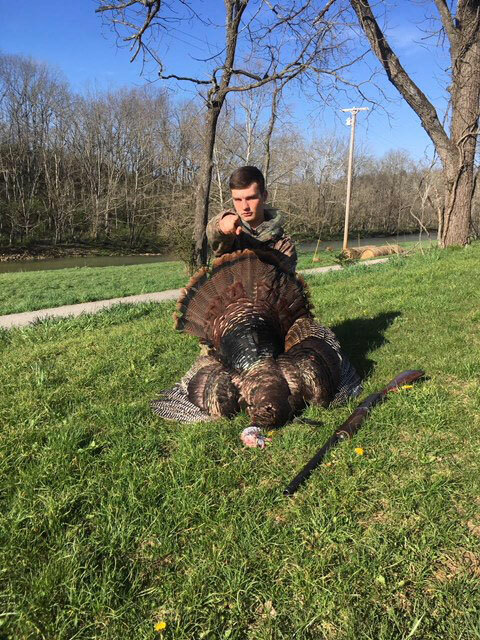 Cynthiana, Kentucky is located just 45 minutes south of Louisville or Cincinnati, and two hours from Indianapolis, Sunrise Outfitters is an easy 20 minute drive of 1-75 at Georgetown, Kentucky. For those hunting guests who prefer not to cook, a variety of restaurants and shopping options are only a 10-15 minute drive from the lodge in nearby Cynthiana, Kentucky. 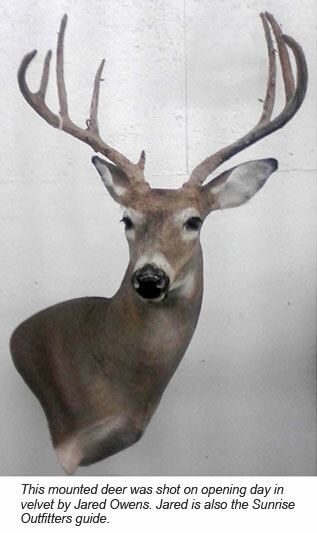 Several top-quality taxidermists and game processors are also located nearby to serve the needs of visiting hunters. We just planted 7 new foraging plots – click here!